This important Handbook is the first comprehensive account that brings together recent developments in the three related fields of environmental technology, environmental management and technology management. With contributions from more than 55 outstanding authors representing ten countries and five continents, the reader is provided with a vast range of insightful perspectives on the latest industry and policy issues. With the aid of numerous case studies, leading experts reflect on significant changes in the use of technology and management practices witnessed in the last decade. * environmental technology management and the future. 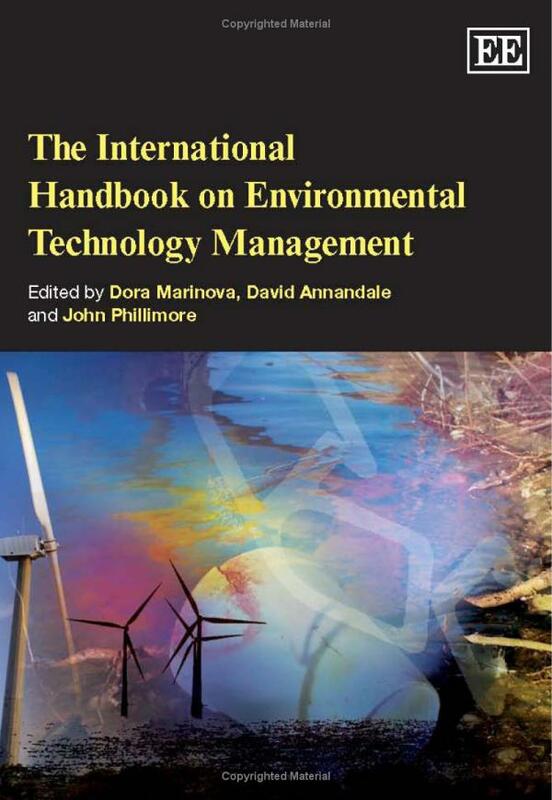 The International Handbook on Environmental Technology Management will have a broad audience including researchers, practitioners, policymakers and students in the fields of sustainability and environmental science.